Dell EMC has expanded its backup storage portfolio with new products featuring support for multi-cloud users and additional options for enterprise-level data protection. 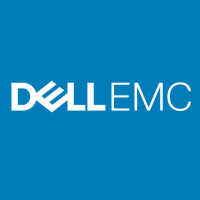 The company announced Tuesday the new capabilities added to its Dell EMC Data Domain and Integrated Data Protection Appliances. Dell’s Data Domain OS 6.2 and IDPA 2.3 software now enable customers to extend data protection to public clouds with Cloud Tier support to Google Cloud Platform and Alibaba Cloud. The company also unveiled its new Free-space Estimator Tool for Cloud Tier, which works to help reduce on-premises and cloud storage costs through capacity management. Dell also added its Native Cloud Disaster Recovery product to its entire IDPA family for all Data Domain and IDPA models to support AWS and Microsoft Azure for Cloud Disaster Recovery. “Given these enhancements, organizations can now restore their data up to two-and-a-half times faster from a Data Domain appliance and recall their data up to four times faster from the cloud to a Data Domain appliance, allowing them to meet more stringent SLAs,” the company said. Dell EMC Data Domain Operating System 6.2, Dell EMC IDPA 2.3 and the enhanced Data Domain DD3300 are available through Dell EMC and its partners.